The image alt tags in WordPress is most important for getting high SEO results. In WordPress adding alt tags is very easy. Every time you upload any image just adds a tag in the alt text column. 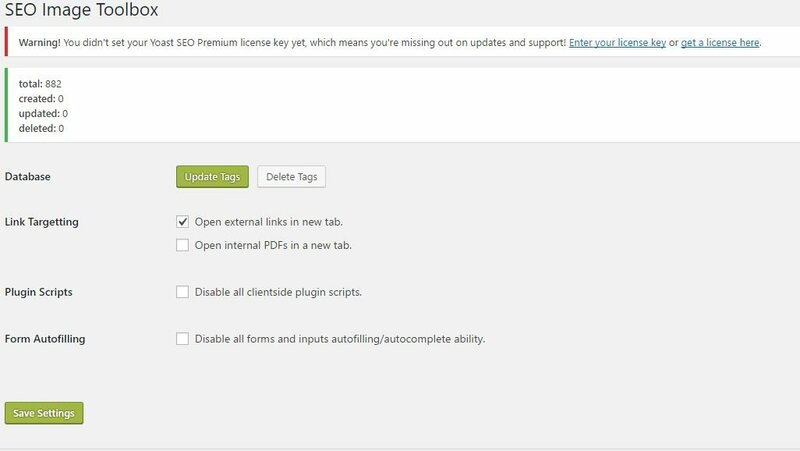 If you are performing this already on your website and still getting the alt tag error when check SEO of your website using SEO checker website or tool. Then it might be with your installed theme. Many times we get “missing alt tags” error on WordPress website even after performing the manually inserting of the alt tags every time when you post any article image. Search engine optimization does not completely rely on the SEO image optimization but fixing the image alt tags and HTML validation errors will definitely increase your ranking somehow. The alt tag is an alternative tag for an uploaded image which is basically a text description of your image. Alt tags were originally made for visually weakened users as they can’t see the image clearly and need a text description to understand what is image all about. And the same problem the search engine bots have they also not able to see the images and need some text hint to understand about the image. For example, sometimes you search for something in Google Image search and if you like that you open that image and its website too. This means images can help to drive a lot of traffic if they optimized correctly. Now come to the point how can you fix “missing alt tags” error on my WordPress website and also alt tags to the WordPress media automatically while uploading them. To add the alt tag to images automatically you can use plugins in your WordPress website. I am using this plugin called SEO Image Toolbox on my How2shout.com website and it really helpful. Everytime uploading the image, it will copy the image name in the alt text column automatically. If you have lots of images in your blog and can’t update the image alt tags of all image one by one manually. Then this plugin also has an option to update the image alt tags of all the images in the media library by clicking just one button. This option will run the command in the database to create, update, or delete image tag data for all images in the media library. Now the question is that can this plugin add the alt tags in theme images, the answer is ‘YES’. It can also add the image alt tag in the theme images and will resolve the ‘missing alt tag’ issue. Besides this plugin, there is one more plugin which is also free and effective, called SEO Friendly Images. But the problem with this plugin is that it hasn’ updated from last 2 years. The alt tags you use in your images should match or relate your images. Don’t use the alt tags which are not relevant to your image. For example, in an image of WordPress plugin, you can’t use the alt tag of some smartphone like SAMSUNG. This will put a negative effect on your website traffic and SEO. Now use the Google Keyword planner to choose the relevant SEO keywords for your article and image. This will improve the website search engine optimization and SEO for the image too. In the second point, I have mentioned that use the SEO Keywords and now it doesn’t mean that you are going to over stuff the alt tags with the keywords. The alt text should be short and meaningful.